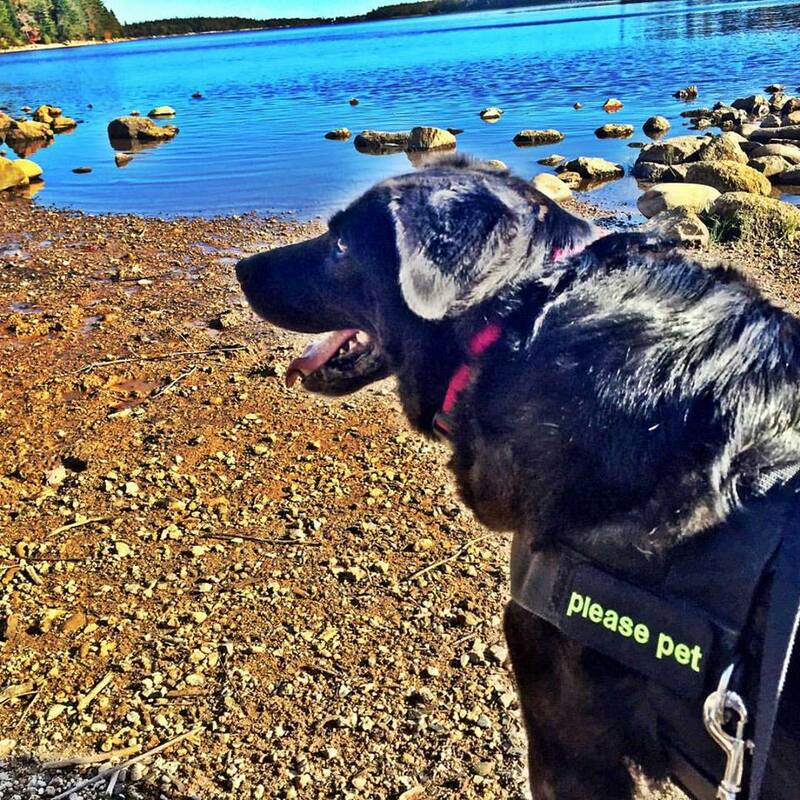 BIG NOTE: November 2015 - conservation officers have been going into Long Lake Park to give tickets to people walking their dogs off leash - so be warned - Long Lake is a Provincial Park and dogs are supposed to be on leash only at this park - obviously things are going to be tight for awhile - beware. Long Lake is on the Bay Road in Halifax. You go through the Armdale Rotary on the way to the Prospect Road. You will see a parking lot on the left right before the lights to turn onto the Prospect Road. That is the ONE of the entrances to Long Lake. It is totally unmaintained (except for some nice bicyclists who keep the trails clear of fallen logs) and unmonitored. There are no facilities. You can walk for hours and hours. If you go in from the parking lot, turn right at the lake and follow the shoreline path to the opposite side - you will come to a run-off. 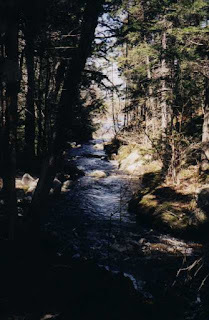 If you follow the river inland there are beautiful waterfalls unlike anything else you can find locally. If you want to get where you are going comfortably, wear rubber boots. The terrain is not good for bad ankles or knees because there are tree stumps/roots everywhere. I think that's why the off-road cyclists like it so much there. I always get a hoot out of watching the people in their $400 lycra glory DRIVE IN THEIR SUV's to Long Lake, take 15 minutes to put their bicycle off the rack, put their stuff together and then go off-road cycling. But at the same time I totally admire them because they have to be really in shape to not kill themselves on the trails. And I have never had a bad experience with any one of them. They are always really friendly and say hello to the dogs and stop their bikes for us to pass. 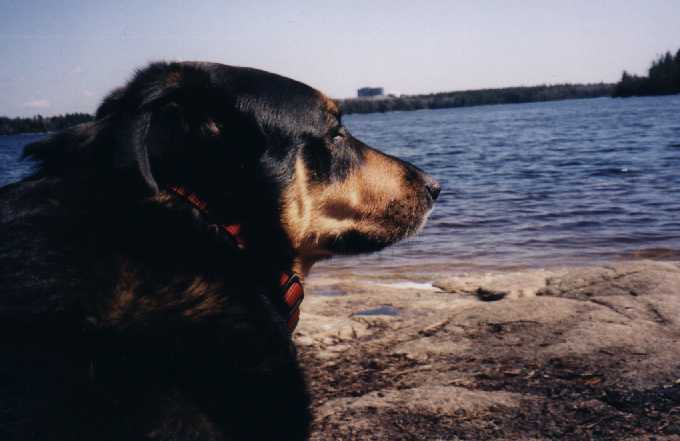 Even when the dogs bark at them (when they come over a hill or make yell to each other and startle the dogs) they have never gotten mad like people do all the time at Point Pleasant Park. If you are afraid of leaches, do not swim yourself. I have personally seen leaches in this lake. Long Lake Provincial Park is still listed as being closed indefinitely because it's not a "maintained" park - but it is probably one of the heaviest used parks in the province! The park is pure heaven for dogs as far as I'm concerned, but everyday it's becoming more and more filled with tight asses who are increasingly worried about the ecology of the park. I don't think it's the dogs who are ruining it - whether they're on leash or off. 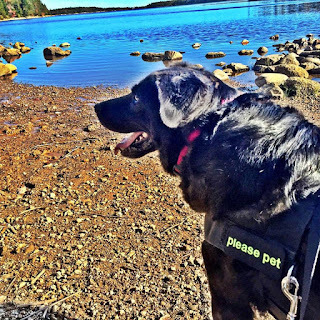 The rules for dogs in provincial parks is as follows by the way - they are allowed in all provincial parks, but they must be on leash on a leash that is no longer than 6 feet. But they are allowed. They just don't have very much fun. Once again I'll say it - my tax dollars are the same as the non-dog owners and I like to avail myself of the fruits of my money - just like the non dog-owners. But that's enough of that rambling - go to Long Lake and enjoy the nature that's there inside the city limits - it's a super spot! You can also access it from several spots along the Bay Road and along the North West Arm Drive - as well as along the Old Sambro Road in Spryfield - it's an absolutely huge park! Look to the left at the awesome pictures of the water falls at Long Lake that I took one fall and you will see why people love the place so much.